Farmhouse style is the inspiration for the Davidson cup pull by Liberty. The simple yet classic design complements a wide variety of décor styles. The unique bin style is great for both cabinets and furniture. 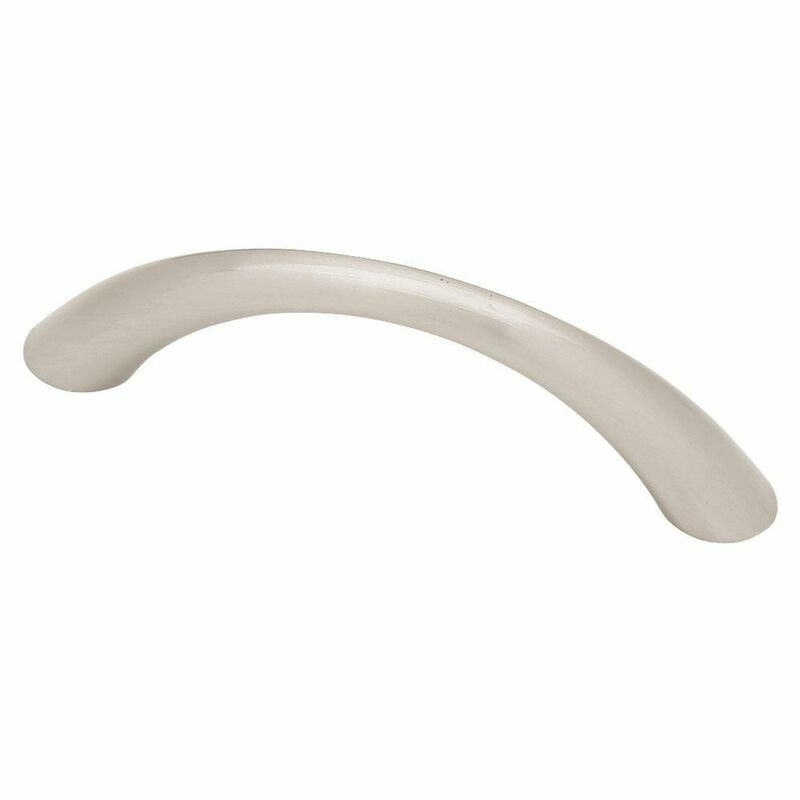 64mm Tapered Bow Pull This casual design adds sophistication and elegance to your cabinetry or furniture. Multiple finishes and sizes available. Installs easily with included hardware for an instant, noticeable change. 64mm Tapered Bow Pull is rated 4.9 out of 5 by 9. Rated 5 out of 5 by Niyoung from Perfect sized handles Had an old dresser that I refinished but the handle size was smaller then normal. Received these handles quick and they worked perfect. Couldn't beat the price! Rated 5 out of 5 by NM22 from Great handle for price! Great handle, finish good, fit good, came with two screw sizes which was nice....overall very satisfied. My husband refinished an old desk for my son and now it looks new and modern, these handles were the finishing touch! Rated 5 out of 5 by JCHD from Exactly what I needed Had a filing cabinet with ugly hardware. Problem is 2-1/2" pulls are tough to find. These fit the bill perfectly. Great quality, received in reasonable time. Only knock would be that there was no ship to store option to reduce cost of shipping. The cost of shipping was more than the cost of the product. Rated 5 out of 5 by pamg from Love these drawer pulls for my daughters bedroom. Don't seem to be easily broken as others have mentioned in reviews. Could be a heavier weight, so the quality was rated good, not excellent. Perfect for a girls room! Rated 5 out of 5 by CantonmentDIYer from I liked the overall look of these pulls Ordered these when I was re-doing an older dresser, not many 2.5 hardware pulls to chose from. With that said these worked great. Nice look to them. Rated 5 out of 5 by cathye from Loved the texture and It fit! Exactly as shown, shipped quickly and fit perfectly.